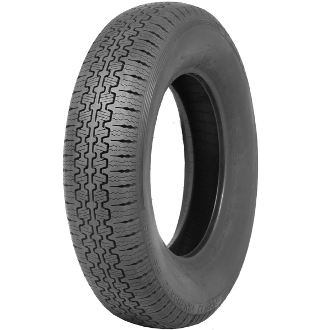 The 145R13 is the ideal radial alternative for the bias ply tire 520-13. Until now, the great, fun little sports cars of the ‘60s right through to the beginning of the ’80's that did so much for the British Car manufacturing industry have not really had a perfect tire until the recent re-introduction of PIRELLI CINTURATO ™ 145HR13 CA67. Currently there are a variety of budget tires with low speed ratings and a carcass that is developed to compliment a more modern chassis. The CINTURATO ™ CA67 maintains the rounded carcass that is critical to the handling of these little light weight rear wheel drive classic sports cars. The PIRELLI CINTURATO ™ 145HR13 CA67 will handle better than anything else on a classic sports car.